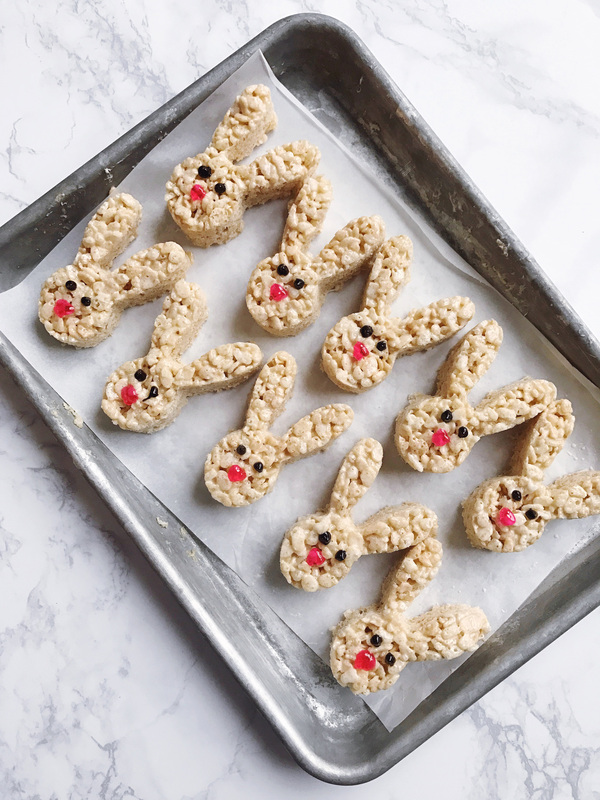 If you asked my friends what my signature dish was they would probably reply with “rice krispy treats.” It’s such a simple dessert to make, but after tweaking my own version of recipe for years, they’ve definitely become a go-to item to bring to parties. 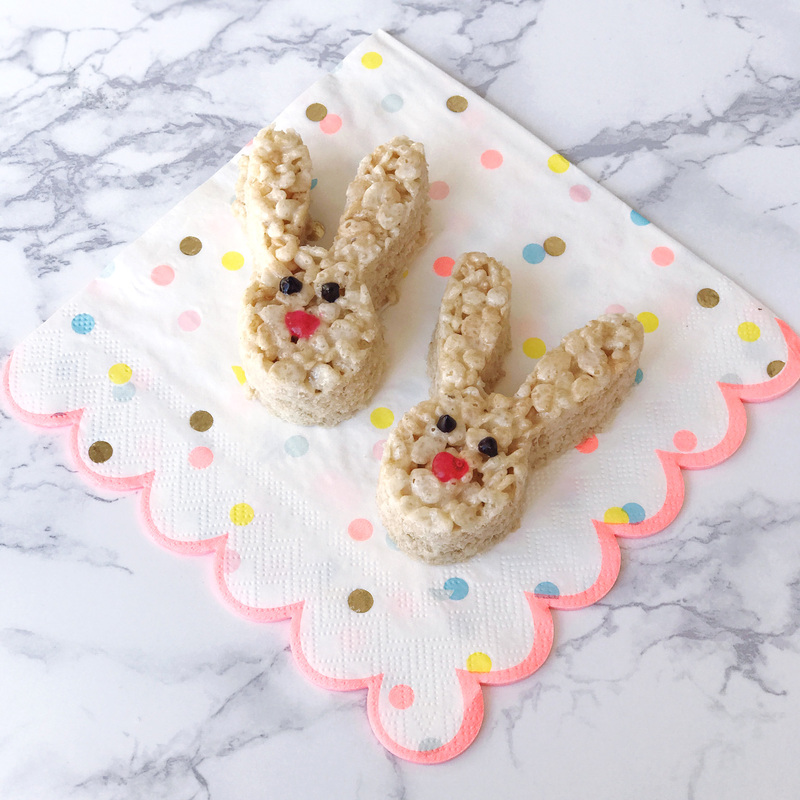 I noticed the other day that I’ve posted a pumpkin spice version, neapolitan flavors, and even cocoa football treats — but I’ve never actually shared my classic rice krispy treat on here! The secret to mine? A little bit more butter and some sea salt, because butter and salt make everything better. 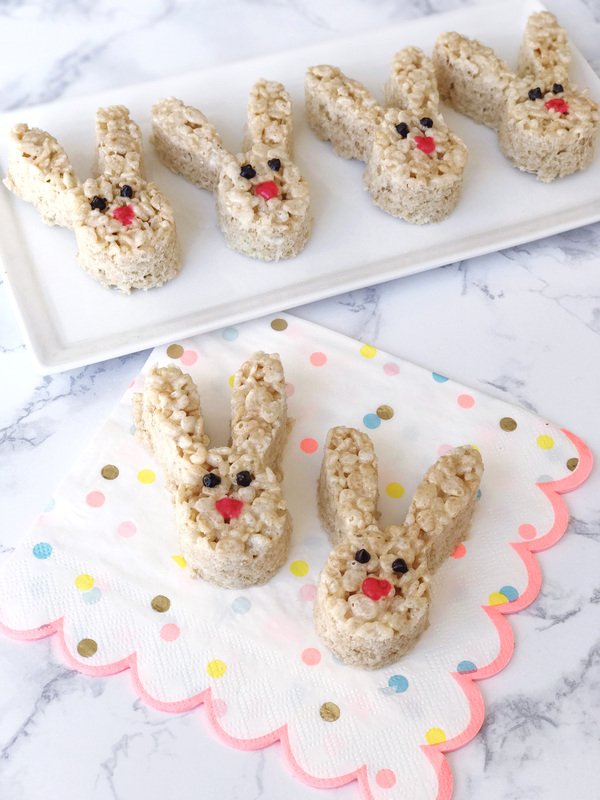 I got the urge to make these and thought I’d put an Easter spin on them by punching them out with a bunny cookie cutter and adding some bunny-faces with a little bit of colored frosting. 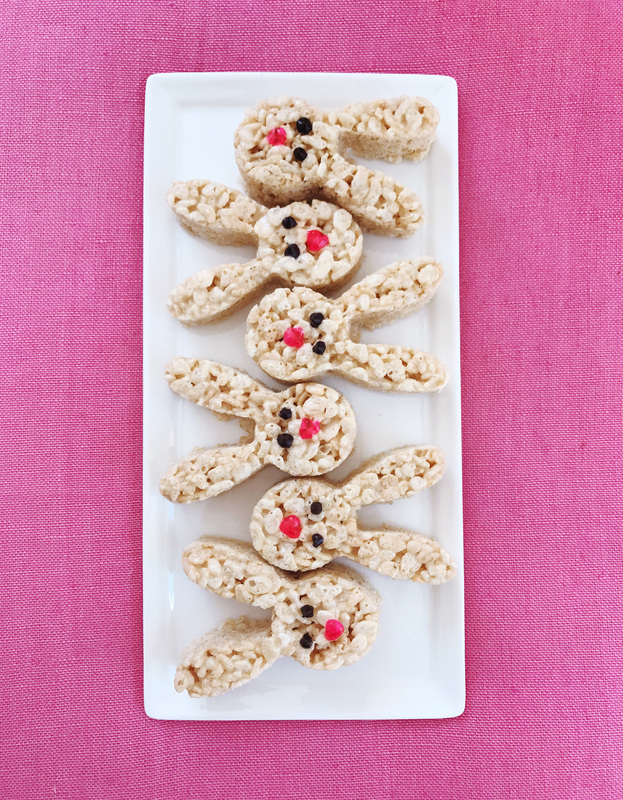 What’s the word for a pack of bunnies? A herd? 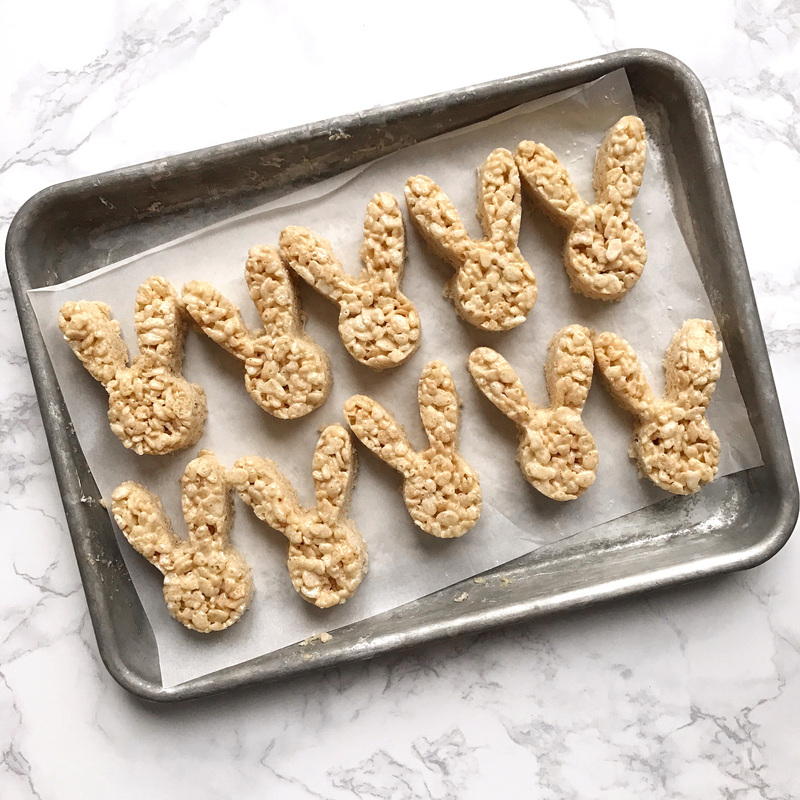 Yup, I just ate a herd of these bunny treats while writing this post. Combine butter, mini marshmallows, and salt in a large pot over medium heat. Heat the mixture while stirring constantly until marshmallows are melted and fully combined with butter. 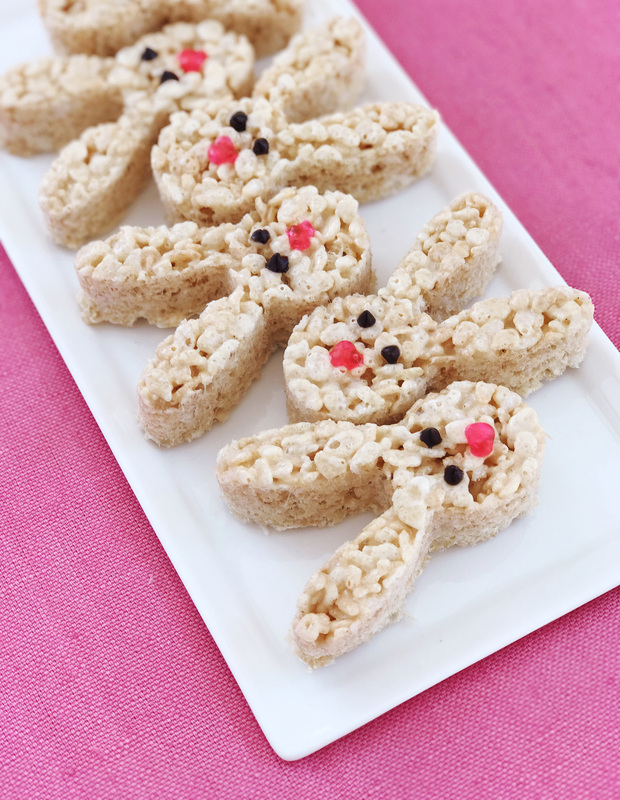 Remove from heat and fold in Rice Krispies until full incorporated into marshmallows. 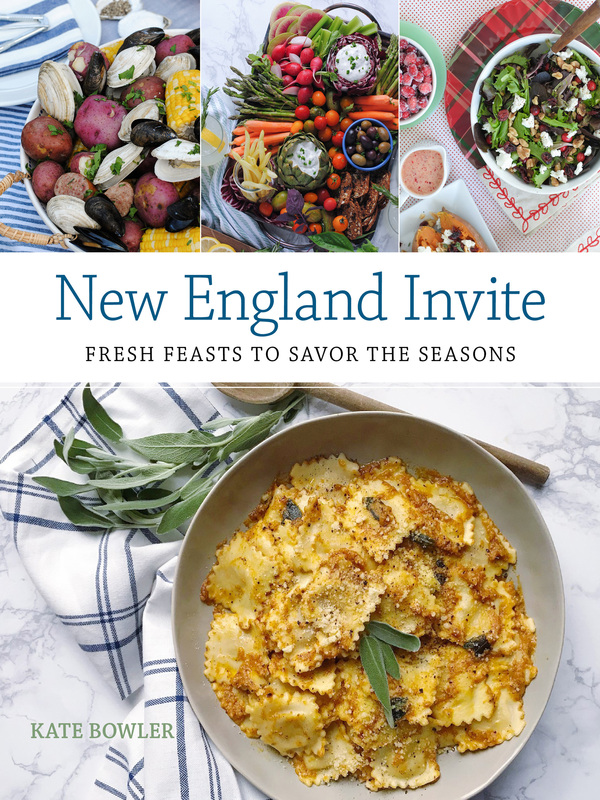 Press mixture into a rimmed sheet pan lined with parchment paper. 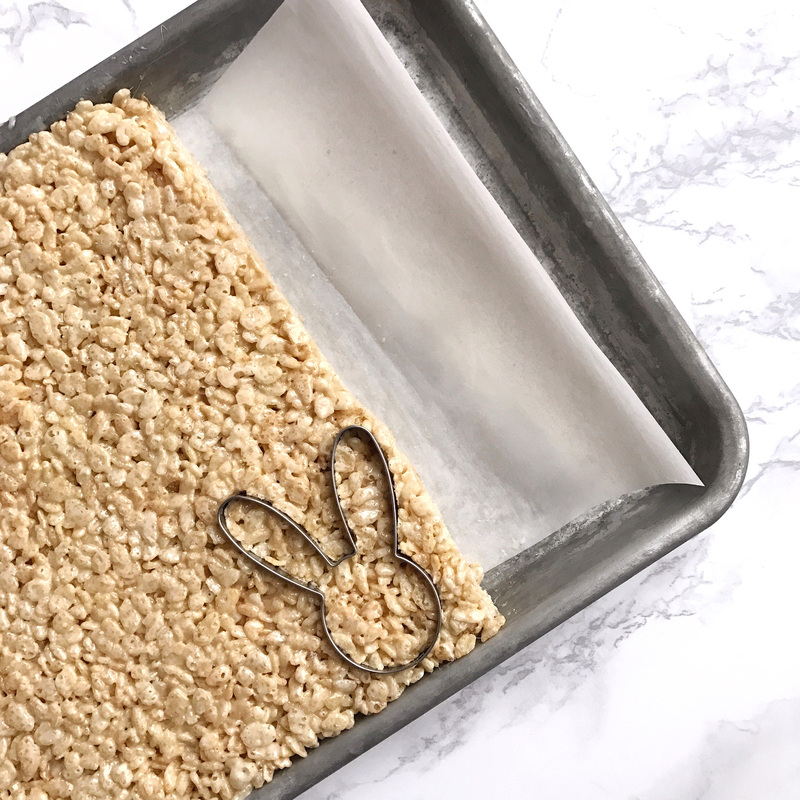 Let the Rice Krispy Treats sit and solidify for at least an hour before cutting into them. Optional: cut treats out into shapes using cookie cutters and decorate with gel food coloring. Easter Basket Inspiration. 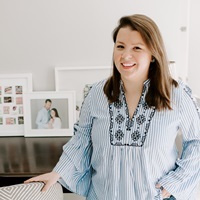 Spring Floral Arranging Tips with Alice’s Table.